Our Commercial team are celebrating after being appointed by The FA to support the nationwide roll-out of their £200 million Parklife facilities. The FA-driven project is a collaboration with Department for Culture Media and Sport, Sport England and The Premier League. The FA is itself investing £50 million in the project, one of its core strategic priorities, over the next four years. The first Parklife community hub site was successfully launched by The FA at St. Georges Park Graves in Sheffield recently and we are delighted with their involvement in this high-profile community-wide project. We have been advising The FA on the ground-breaking charitable grassroots facilities project, announced originally by former Chairman Greg Dyke in October 2014, for the past two years. It will introduce up to 100 new artificial turf 3G pitches in 30 towns and cities nationally. Our appointment will see the provision of legal work for the creation of the network of local charities which will manage the operation of purpose-built Parklife community football hubs. John Devine, Partner and Head of Sport at Muckle, said, “We are delighted to have been appointed by The FA to advise on the Parklife project. We have been working with The FA for over five years now on some exciting initiatives and were very pleased to be invited to support this project from feasibility right through to finally opening the doors here at Graves. 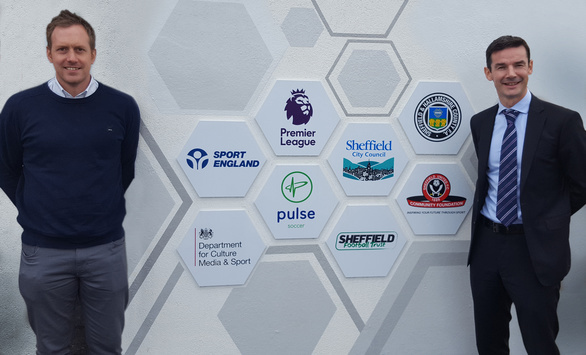 “The concept for Parklife was devised by The FA over 2 years ago, and it is fantastic to see the project finally come to fruition in Sheffield, home of the two oldest football clubs in the world. It is the first of many which will transform the grassroots football experience for thousands of players of all ages. Mark Coulson, National Parklife Project Leader for The FA, said, “Parklife marks the start of the FA’s vision to transform the way grassroots football is played in England. As the programme rolls out nationally, we hope to see the end of poor pitches, woefully inadequate changing facilities and a battle against the elements to get fixtures completed over the Winter. The first charity, ‘The Sheffield Football Trust’, has already been registered and will deliver the pilot project, supported by The FA, Sheffield City Council, Sheffield and Hallamshire County FA, Sheffield Wednesday Community Programme and Sheffield United Foundation. The Trust’s facilities will be open to the public in Sheffield on three new sites, the first of which was unveiled at Graves on 26th October by FA chief executive Martin Glenn, Minister for Sport Tracey Crouch, Chair of Sport England, Nick Bitel and The Right Worshipful the Lord Mayor of Sheffield, Councillor Denise Fox. Led by partner, John Devine, the Muckle team working with the FA on Parklife includes John Kellett (property), Lucilla Waugh (construction), Adam Aston (construction), Chris Maddock (employment), Anthony Coultas (commercial), Stephanie Coulson (commercial) and Kevin Maloney (banking and finance). We are the only law firm in the North to be recognised in the top tier for ‘Sport’ by Legal 500 and we also hold a place on the prestigious Legal Panel Framework, established by Sport England, Sport Wales, UK Sport and the Sport and Recreation Alliance, Sport England’s successful Community Amateur Sports Club (CASC) project. The team is instructed regularly by The PFA (Professional Footballers’ Association) and The Premier League, to advise their respective members on charity and community matters. Additionally, we have niche sector experience advising sports charities, from grassroots level to the top of the professional game, having advised to date 75 of the 92 professional clubs in The Premier League and The English Football League, on their CSR, education, sports and community initiatives.